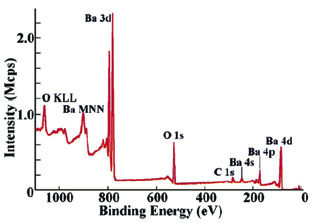 What is X-Ray Photoelectron Spectroscopy (XPS)? Surface modification can be used to alter or improve these characteristics, and so surface analysis is used to understand surface chemistry of a material, and investigate the efficacy of surface engineering. 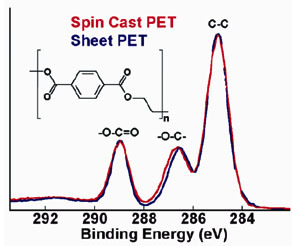 From non-stick cookware coatings to thin-film electronics and bio-active surfaces, X-ray photoelectron spectroscopy is one of the standard tools for surface characterization. 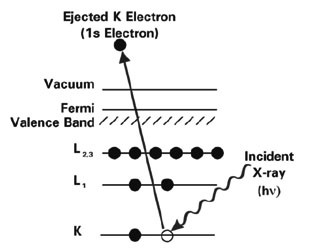 When an atom or molecule absorbs an X-ray photon, an electron can be ejected. The kinetic energy (KE) of the electron depends upon the photon energy (hν) and the binding energy (BE) of the electron (i.e., the energy required to remove the electron from the surface). The element from which the electron is emitted. 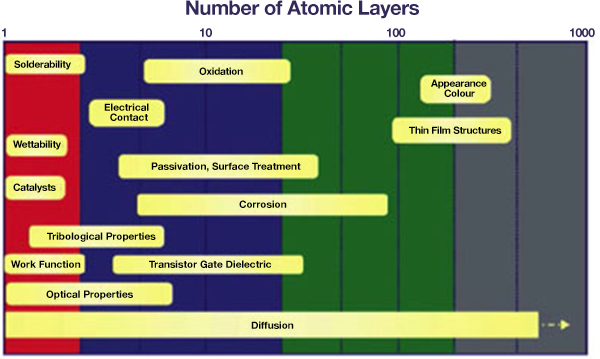 The chemical environment of the atom from which the electron was emitted. 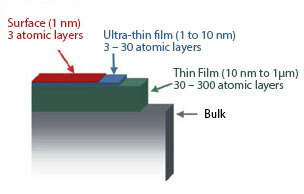 XPS is a quantitative technique because the cross-section for the emission of a photoelectron is not dependent upon the chemical environment of the atom.